Much of yesterday’s baby wisdom has been proven to be outdated today. Some are even harmful. Get the scoop on which old-school parenting facts don’t hold true anymore. The arrival of your newborn ushers in celebration and a lot of best wishes from friends, family members and well-wishers. Along with all of this comes a barrage of advices on dos and don’ts from all and sundry. More often than not, this becomes overwhelming confusing for the parents, specially if they are first timers. Moreover, a lot of these suggestions are not backed by scientific evidence – they are based on hearsay or traditional beliefs that have been passed on through generations. Although some of these beliefs may be true, most others are not, and may have deleterious effect on the baby if practised. As parents, it would be best for you to clarify these with your paediatrician before you follow them. In this article, I have listed a few of them that are best ignored as myths! MYTH: Colostrum should be discarded. It is harmful to the baby. FACT: Actually, this initial yellowish mother’s milk is extremely nutritious and gives your newborn the calories and nutrition he needs during the first 24–48 hours after birth. It also contains lots of ‘antibodies’ which build the baby’s resistance and help him fight diseases. Hence, it is important to give the initial milk to your child. The additional benefits is, it also helps the mother to kick-start the process of lactation. MYTH: Mother and infant should not be allowed to go outdoors for the first 40 days. FACT: This is a hand-me-down practice over generations because the general belief is that babies have a very weak immune system and they will get infections if taken outdoors. Quite contrarily, a healthy newborn has the capability to fight infections and adjust to the environmental changes. Though there is no denying that and infant’s immunity is slightly compromised when compared to older kids, there is absolutely no justification to keep him in isolation. It’s completely ok to take him outdoors. However, common sense should prevail and one should avoid taking the baby to overcrowded and smoke or dust-field areas. MYTH: Mild cough or sneezing me baby has caught cold. FACT: Not at all. Babies find it difficult to clear out certain secretions as they lie flat for most of the day. This results in those secretions accumulating in the nasal passage and throat leading to irritation, sneezing or mild cough and sometimes even a blockage in the nose. Most of these problems can be easily addressed by applying Saline drops. 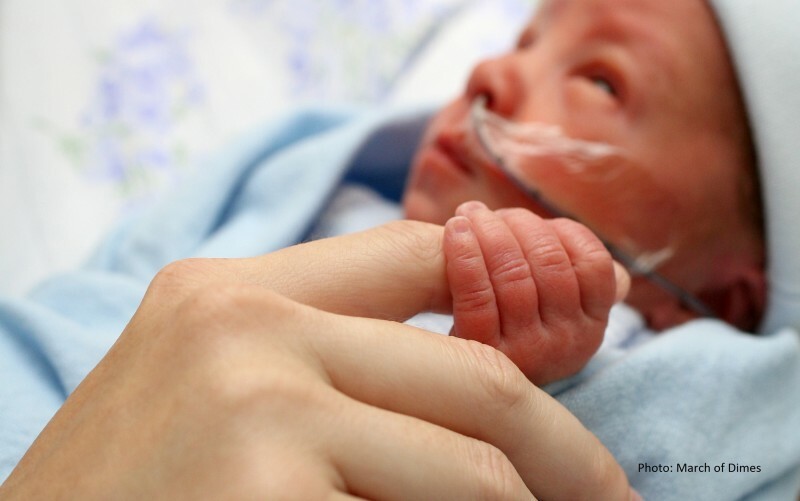 MYTH: Being tiny, newborns need extra warmth or else, they may fall sick. FACT: Your infant’s temperature control mechanism is just like that of an adult. The only phase when she needs to be kept warm is: The first 24-48 hours after birth. After this span, she should be in the same temperature that you feel comfortable in. Also, make sure that while dressing up your little one, you are using only one more layer of clothing than you are wearing. You can use of fan or air-conditioner to keep the temperature comfortable in the room. Don’t forget to keep an eye on her: She should not sweat, feel hot, or uncomfortable. Excessive dressing can trigger incessant crying and heat rash! MYTH: Warm head is the sign of fever. FACT: A baby’s head is usually warmer than the rest of the body, as this is very often the only exposed part. Hence, the heat exchange with the atmosphere occurs here. The temperature of a newborn should hover around 98°F – 99°F and it should be measured with a thermometer instead of feeling with the Palm in order to avoid confusion. If your feedback misleads your doctor it may result in unnecessary tests and anxiety to everyone! MYTH: Loose stools means diarrhoea and hence you should stop giving milk to baby. FACT: Stool can become loose and watery if your baby is breastfed. He can poop for eight to ten times a day too. That’s normal. It should not be mistaken for diarrhoea as long as your child is feeding well and appears normal. Feeding should be continued and there is no need to put them on oral rehydration solution (ORS). Consult your paediatrician to rule out further doubts and else you will end up starving your baby unnecessarily. Remember, those calories are essential for your little one to grow up.